Do you need comprehensive treatment for osteoporosis? The osteoporosis clinic at The University of Tennessee Medical Center, in Knoxville, Tennessee, can help. Why Should I Choose UT Medical Center? The University of Tennessee Medical Center offers one of the area’s most comprehensive clinics dedicated to the treatment of osteoporotic bone disease. 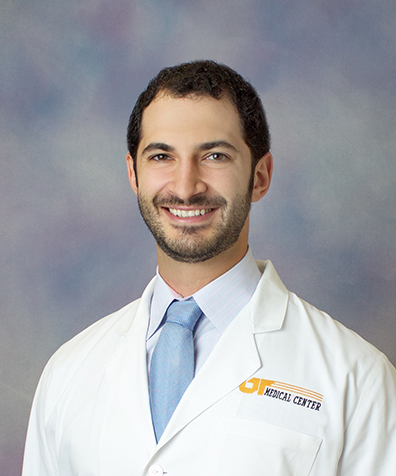 Kostas Triantafillou, MD, specializes in orthopaedic trauma and osteoporosis. He is trained to diagnose osteoporosis and create a treatment plan focused on each patient. His goal is to help you preserve and rebuild bone mass, improve your balance, and alleviate the fear of falling. Osteoporosis is a serious condition that can cause severe pain, disability and even death. It is responsible for 2 million broken bones every year, most commonly in the hips, wrists and spinal column. Every year thousands of Tennesseans age 55 and older suffer a devastating fracture due to a fall. Often this is a hip fracture, but others will suffer a broken wrist, spine, shoulder or arm. Sadly, one in five people will die within a year of their broken hip, and nearly all will lose a degree of independence. Talk with your doctor about your risk of developing osteoporosis and steps you can take to prevent or delay onset of bone disease. Learn more about osteoporosis diagnosis and prevention and about osteoporosis risk factors and treatment. If you have been diagnosed with osteoporosis, take the first step in obtaining the best care and schedule an appointment with the medical center’s Osteoporosis Clinic today.